Credit Direct Limited is a non-bank finance company with its Head-Quarters in Lagos, Nigeria. The company was established in 2007 and is focused on providing Payroll based consumer loans to eligible individuals. The Company currently operates in 25 states in Nigeria including the Federal Capital Territory– Abuja. With a staff strength of over 1000 employees and an active customer base in excess of 300,000, Credit Direct Limited is positioning itself to become the dominant market leader in the unsecured micro-lending (payroll lending) space in Nigeria and indeed Sub-Saharan Africa. The Company’s 12- hour quick turnaround loan product “sharp sharp “is its flagship product and the core of the business. In 2011, it introduced its Asset based loans product which offers customers the opportunity to purchase house-hold items and also accommodate certain segments of the market which are averse to interest bearing loans. Credit Direct Limited launched a new product – Empower the Corps in 2015. A product that provides loans to corps members to start up small business, add a professional qualification or buy lifestyle or commercial assets. We pride ourselves with providing quick turnaround loans for all within 12 hours with little documentation and top of the range customer service and efficient operational processes. We put our customers at the center of what we do. We understand the day-to-day financial needs and pressures of cash constrained consumers. We want to work to deliver financial products that give customers more control and help them to get on with their lives. To be the preferred innovation-driven non-bank financial services partner in Nigeria and beyond. 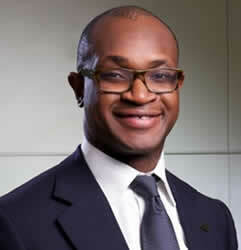 Ladi Balogun is the Chief Executive Officer of FCMB Plc. He holds a bachelor’s degree in Economics from the University of East Anglia, United Kingdom and an MBA from Harvard Business School, United States. He has over 18 years’ experience in commercial and investment banking in Europe, the United States of America and Africa. He began his banking career in 1993 at Morgan Grenfell and Co Limited, where he worked in the areas of risk management and corporate finance (debt origination). He was responsible for managing the bank’s trading and investment positions in debt instruments in Latin America and Eastern Europe, and also part of a team that structured numerous complex debt deals in Latin America, Eastern Europe and the Asian sub-continent. Subsequently he worked at Citibank in New York before returning to Nigeria as an Executive Assistant to the Chairman and Chief Executive in 1996. He has worked in various areas of the bank, including Treasury, Corporate Banking and Investment Banking. He was appointed an Executive Director in charge of the Institutional Banking Group (IBG) in 1997. In 2000, he was made Executive Director in charge of Strategy and Business Development and in 2001 Deputy Managing Director. He was appointed the Managing Director of FCMB in 2005 and appointed to the CDL board in 2007. 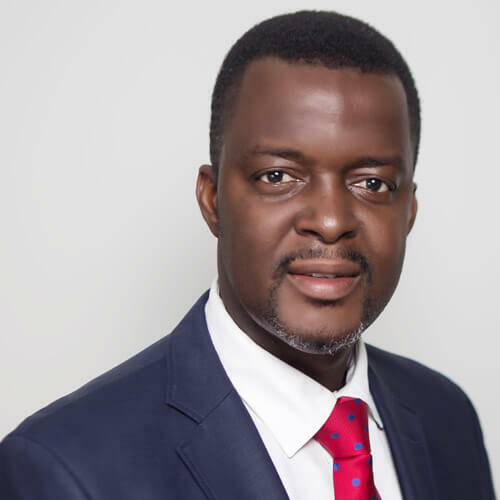 Akin, started his banking career over two decades ago with Equity Bank Limited, and has since recorded many successes in Finance and Business Management at various Institutions he has worked. 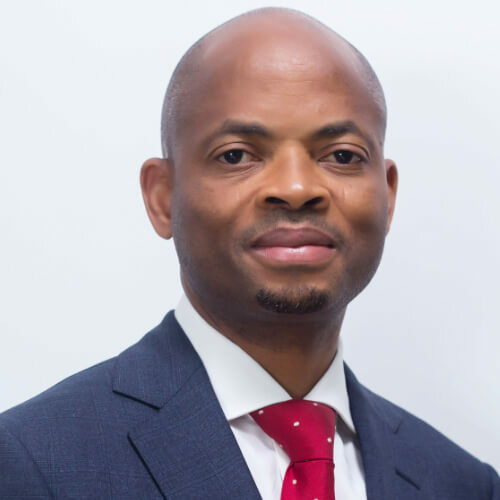 He joined First City Monument Bank and led the team that developed and birthed the first structured non-bank consumer lending business in Nigeria – Credit Direct Limited, which commenced operations in 2007. He is alumni of Harvard Business School and also a Board Composition & Roles member of the Chartered Institute of Credit Risk Management of Nigeria, Chartered Pension Institute of Nigeria and a Fellow of the Chartered Institute of Management Accountants. Yemisi Edun is the Chief Financial Officer for FCMB Plc. 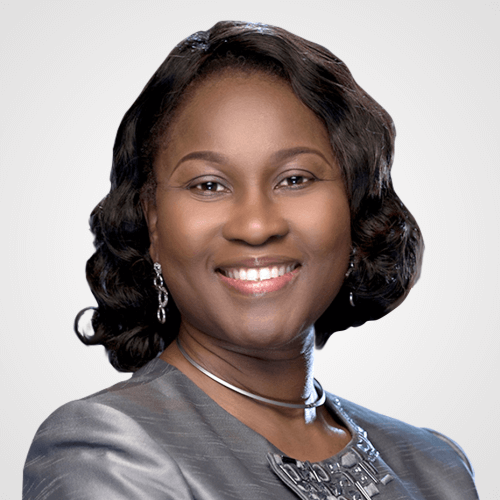 She began her career as an auditor with Akintola Williams & Co (member firm of Deloitte Touche Tohmatsu) in 1987, becoming a Senior Manager before joining FCMB in 2000. Yemisi holds a Bachelor of Science degree from the University of Ife. A Fellow member of the Institute of Chartered Accountants of Nigeria and a graduate member of the Chartered Institute of Stockbrokers (CIS). 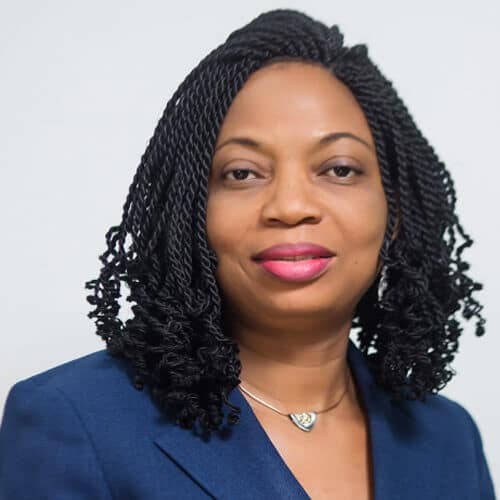 She is also an associate member of the Chartered Institute of Taxation of Nigeria, member of Information Systems Audit and Control Association and a Certified Information Systems Auditor. She was appointed to the CDL board in 2007. Shiba Ghosh is a Senior Vice President responsible for Consumer Banking under the retail banking group in FCMB Plc. He has over 19 years experience in Consumer Banking. 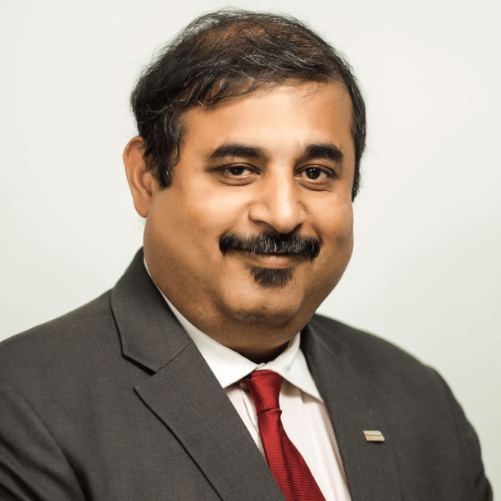 In 1990, he joined Citibank India and worked in various departments including Sales, Customer Service, Branch Management, Risk Management & Credit Cards. He joined Standard Chartered Bank in 1999 in Credit Cards & later move to heading Personal Loans Business in India. He moved to Nigeria with Standard Chartered Bank in 2006 to Head their Retail Assets Department. In August 2007, Shiba Ghosh joined First City Monument Bank Plc to Head Consumer Banking Group. ‘Shiba’ is an alumnus of St. Xavier’s College (Bachelor of Commerce) and has an MBA from Birla Institute of Technology, India. He was appointed to the board in 2007. Chukwuma, our Executive Director, Finance and Strategy holds an MBA from Warwick Business School, Coventry and is also a graduate of Business Administration from Cambridge International College both in the United Kingdom. 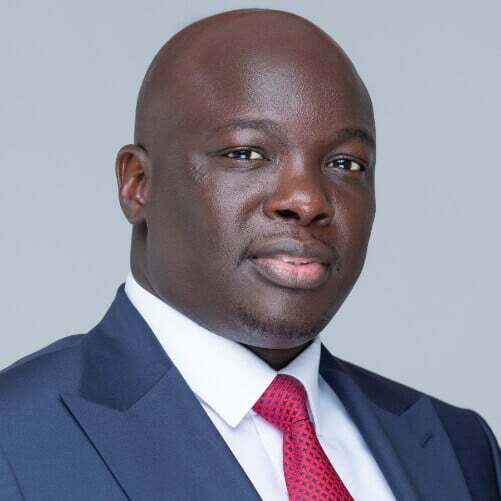 He is as well an Alumnus of the prestigious Lagos Business School and a Fellow of the Institute of Chartered Accountants of Nigeria with over a decade of cognate experience in various sectors of the economy including Oil and Gas, Information and Communications Technology as well as Financial Services. As part of his experience he has worked with notable organizations such as Nextzon Business Services (formerly Heirs Alliance) and Weco Systems Ltd among others. Prior to joining CDL he was the Chief Finance Officer at UBA-Afripay Limited where he was part of a team that birthed Nigeria’s first mobile money product Ü-Mo”. As part of the CDL Team he has been instrumental to crafting our strategy and implementing sound financial management to ensure we remain the market leaders in sustainable growth and consistent financial performance. 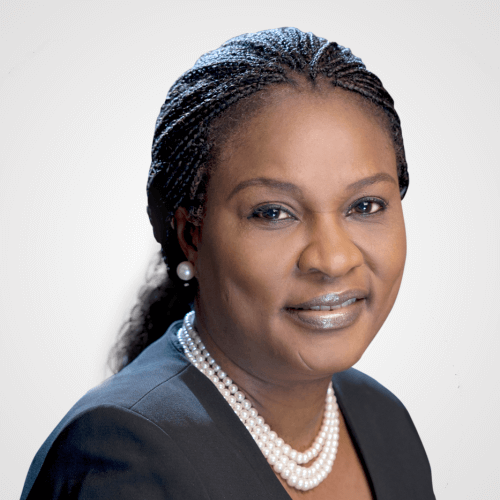 Mrs. Olufunmilayo Adedibu was recently appointed a Non Executive Director of Credit Direct Limited, She is the Company Secretary and Group Legal Counsel of FCMB Group Plc. A lawyer by profession, she has a wealth of experience in Legal practice and Banking.She started her legal career with the Law firm of Adedipe and Adedipe, Legal Practitioners before joining the prestigious Law firm of Chris Ogunbanjo & Co. Solicitors and Advocates, where she gained knowledge about Copyright and Patent laws.She began her banking career with Magnum Trust Bank and Fidelity Union Merchant Bank before joining First City Monument Bank in 1999 where she has served in various capacities. She has over 22 years’ post-graduation experience and over 18 years of it has been in the banking industry with experience spanning Corporate Banking, Commercial Banking, Risk Management, Banking Operations and Group Legal Services Department in FCMB. 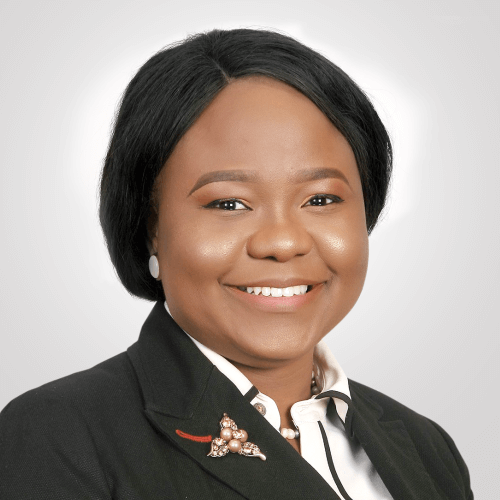 She has attended a number of Leadership and Management trainings from Lagos Business School, Queen’s School of Business Canada as well as EuroMoney Loan Documentation and Advanced Loan Documentation training in New York.She is a member of the Nigerian Bar Association and Toastmasters International. Gboyega has an MBA (Finance) from Cardiff Business School, Wales, a Bachelors Degree in Geology from the University of Ibadan and has contributed intellectual material to the European Journal of Marketing. He is a highly experienced professional with strengths in product development, risk analytics and collections within the consumer lending space. Gboyega began his outstanding career in 1999 at Standard Trust Bank (now UBA) and since then has held various key roles with Beneficial Finance (HSBC Group), Fidelity Bank and First City Monument Bank. Prior to joining our team at CDL he was also Executive Director and Chief Operating Officer at One Credit Limited and since then has impacted greatly on improving the quality of our portfolio, boosting our service delivery and positioning the Company to better deliver on our service promise. Abiodun a graduate of Accounting also holds BSc in Business Administration from Caleb University Lagos. 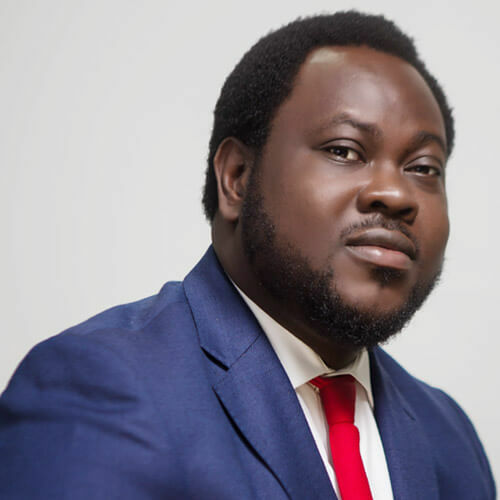 He is an Alumnus of the Prestigious Lagos Business School (SMP) and China Europe International Business School, (CEIBS) Shanghai, China having obtained MBA in General Management. Abiodun has varied professional affiliation which includes; Fellow of the Institute of Chartered Accountants of Nigeria, a Chartered Member of the Nigerian Institute of Management and a Member of the Global Association of Risk Professionals (GARP) as well as the Institute of Credit Risk Management. He started his career with Pharma Deko Plc and then proceeded to Afri-Agricomm Traders and Exporters (now Multi-Trex Industry) before entering the banking industry where he has grown and distinguished himself over the last 15 years. In 2005 he joined First City Monument Bank where he rose to Business Manager and deputized in overseeing zonal activities in the Lagos Mainland Region of the Bank. In 2012 he joined CDL and currently heads our outstanding country wide Sales and Marketing team as Country Head, Sales and Marketing. Achia holds a Master of Science degree in International relations and Strategic studies from the Benue State University and is a graduate of Humanities from the University of Nigeria, Nsukka. He is also an Associate of the Chartered Institute of Bankers of Nigeria as well as a Fellow of the Institute of Treasury Management of Nigeria. Achia Tor-Agbidye began his work experience with the media before crossing over to Banking where he has gathered appreciable experience in Sales and Marketing for nearly 15 years. During that time, he developed core competencies in Public Sector Banking, Risk Analysis and relationship management. He has also benefited from several personal and professional capacity building courses and seminars over the years and he brings this to bear in his position with the Company. He started his banking career with the then Afribank Plc before proceeding to GTBank Plc and subsequently joined First City Monument Bank in 2006 where he rose to be a Branch Manager and later Back Up to the Head of Institutional Banking for the North Central Zone. Achia joined Credit Direct Limited in April 2013 as pioneer Regional Business Manager for the North and now serves as the Head, Public Sector Sales driving our flag ship product the Sharp Sharp loan. 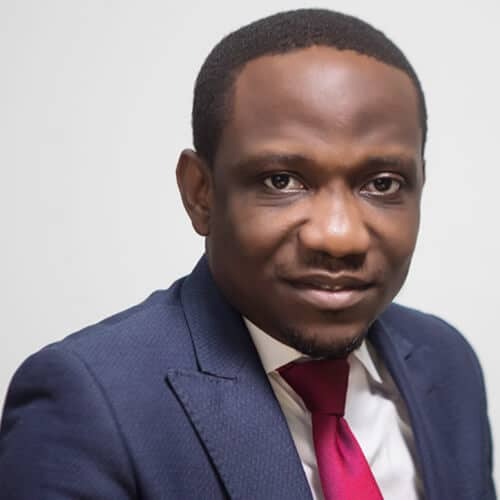 Godwin who head Control, Compliance and Governance for Credit Direct Limited is an Alumnus of the University of Jos and the Lagos Business School and also a certified Micro Finance expert from the Frankfurt School of Finance and Management. 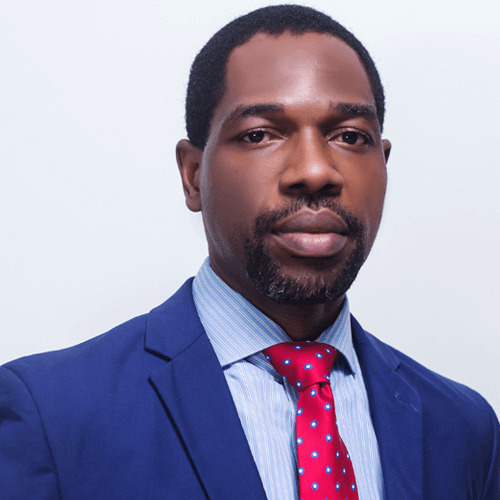 He holds a number of professional affiliations as Fellow, Nigerian Institute of Loan and Risk Management, Member, Nigerian Institute of Management, and Associate, Micro Finance Association (UK) besides nearly 2 decades of experience in professional services, pension funds administration as well as banking and investment. During this time, he has worked variously in Audit and Accounting at Adetona Isichei (now part of Deloitte), International energy and Insurance Plc, VAF Consulting, First Guarantee Pension and GTBank. Godwin joined CDL in 2011 as Executive Assistant to the MD/CEO and in transitioning to his current role has helped strengthen our corporate governance structures and greatly enhanced the Company’s overall control and regulatory compliance. Seyi is a Chartered Secretary and Lawyer, a graduate of the University of Benin and the Nigeria Law School with an MBA from the University of Warwick; She is also an Associate of the Chartered Institute of Personnel Management, Nigeria as well as the Nigerian Institute of Management having diverse experience in various industry sectors including law, engineering and banking with core versatility in Human Resource Management and Development. She began law practice at the firm of Bankole Oki and Co and then proceeded to HFP Engineering before entering the banking industry where she has garnered over 13 years of experience in various roles. She joined the FCMB Training Department in 2012 and moved on to Project Manager of the Bank’s Strategy Implementation Programme before joining CDL in 2015 as Head of the Human Resource and Corporate Services Division with the consequence of a more engaged and efficient team. Oluwatosin holds a Master of Science in Management and Information Systems (Change & Development) from the University of Manchester, UK and is a graduate of Accounting from Lagos State University, Nigeria. She is a certified HR Practitioner (CIPM, Nigeria), Knowledge Manager (KMI, US), and a Prince2 Practitioner (APMG International, UK). She also has several certifications from the Human Capital Institute, US. Oluwatosin has about 15 years’ experience in Business Management and Human Resource Consulting, and General HR Administration. Prior to joining Credit Direct, she worked with NEXTZON Business Services Limited as the Head of the Talent Management Unit and at Phillips Consulting Limited as the Managing Consultant of the Human Capital Division.